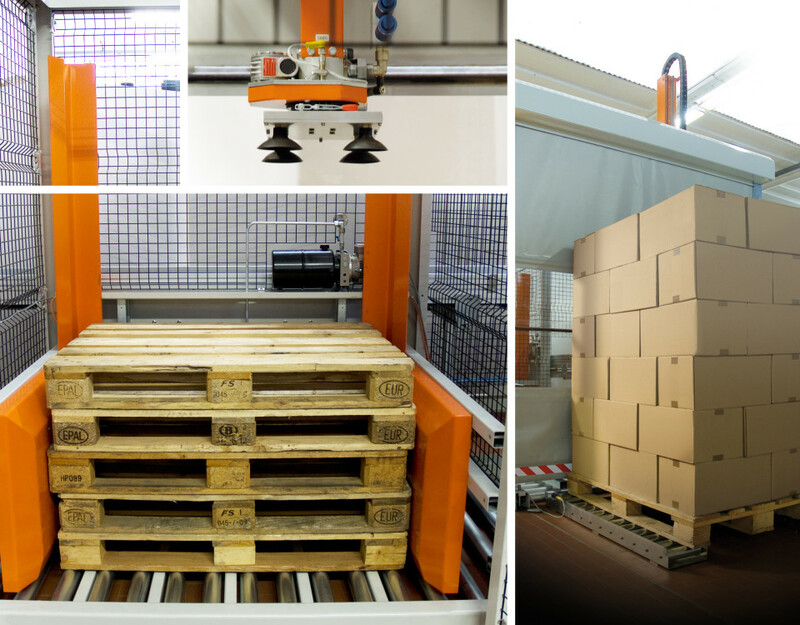 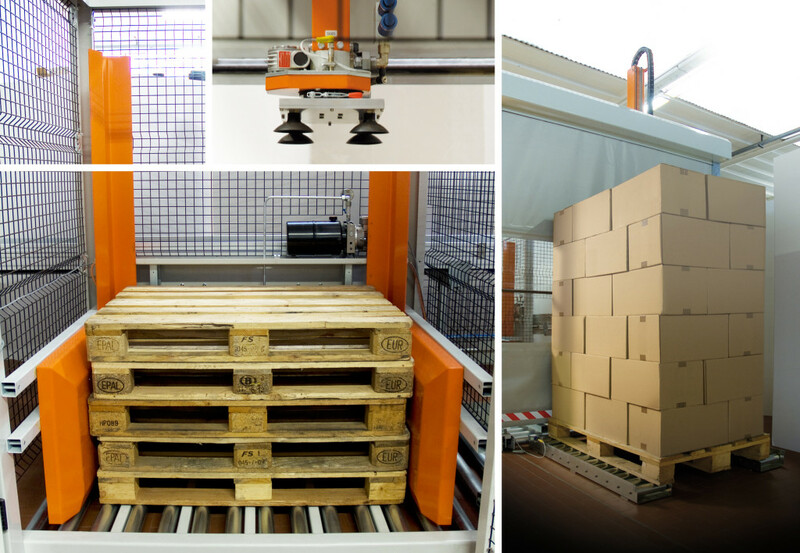 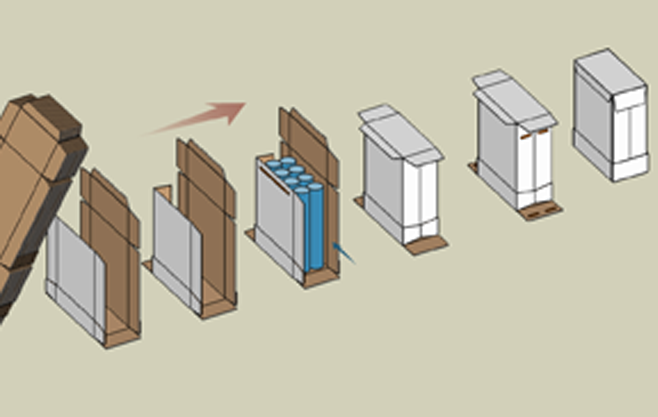 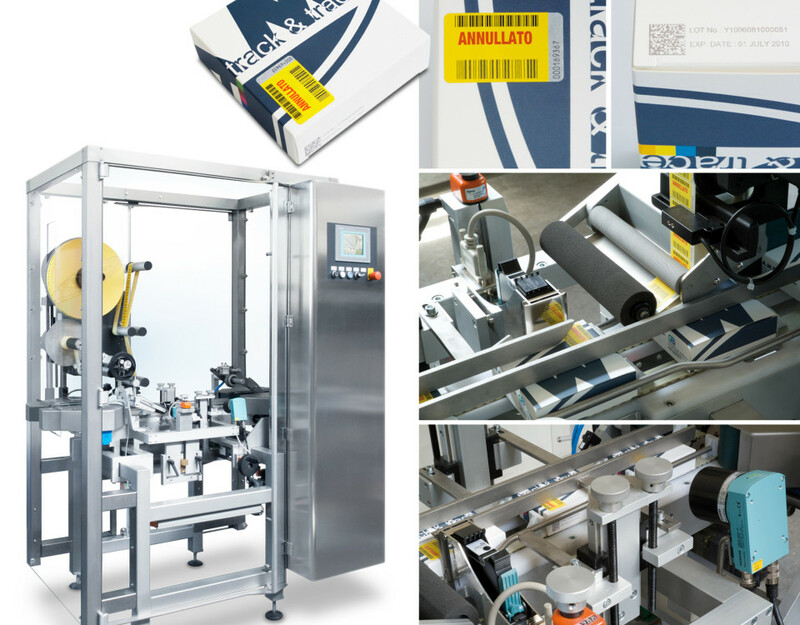 CAM innovative case design allows the realization of a display-box made up of a lid glued onto a tray to be used on wrap-around machines as a single flat case rather than two separate pieces. 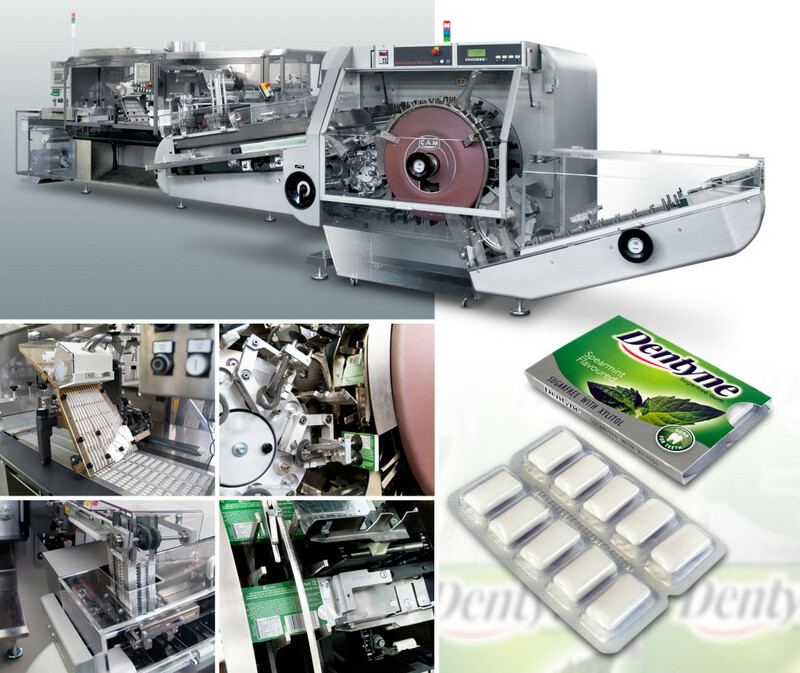 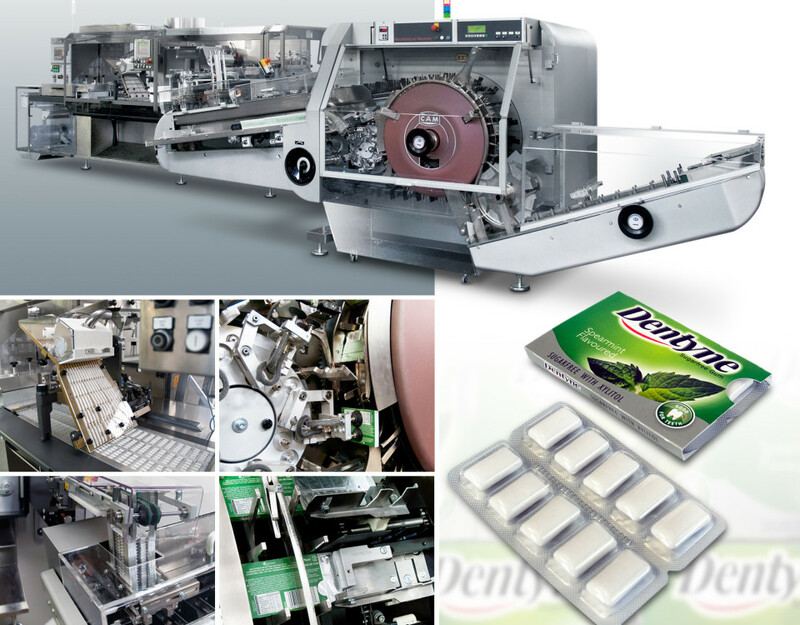 A famous food company too have purchased a blister line for chewing-gum including a blister machine model nMX and a cartoning machine model K0. 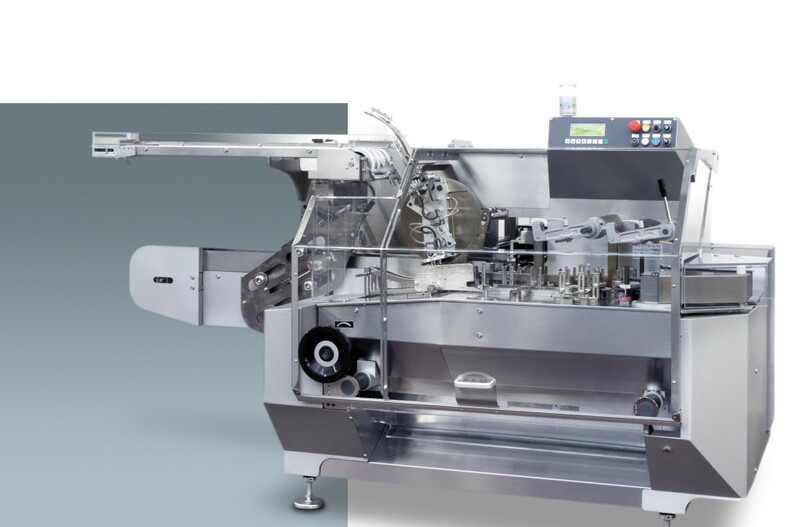 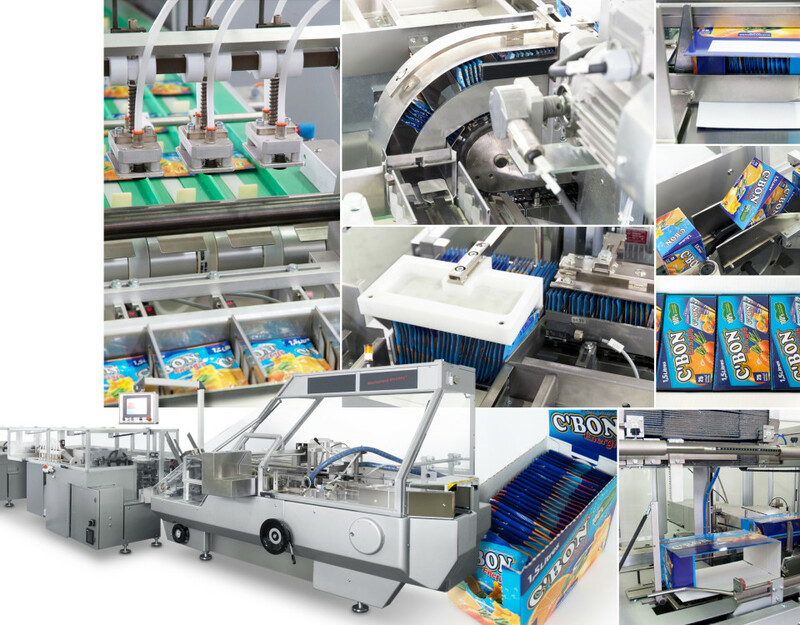 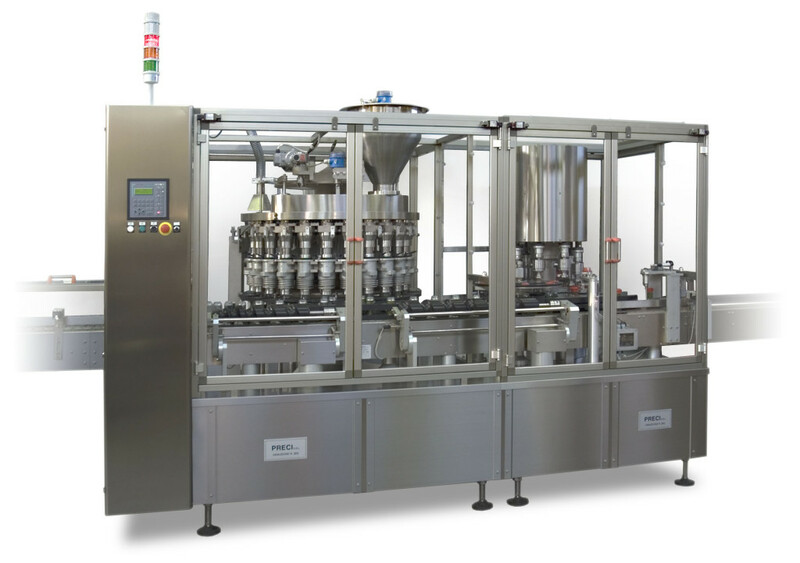 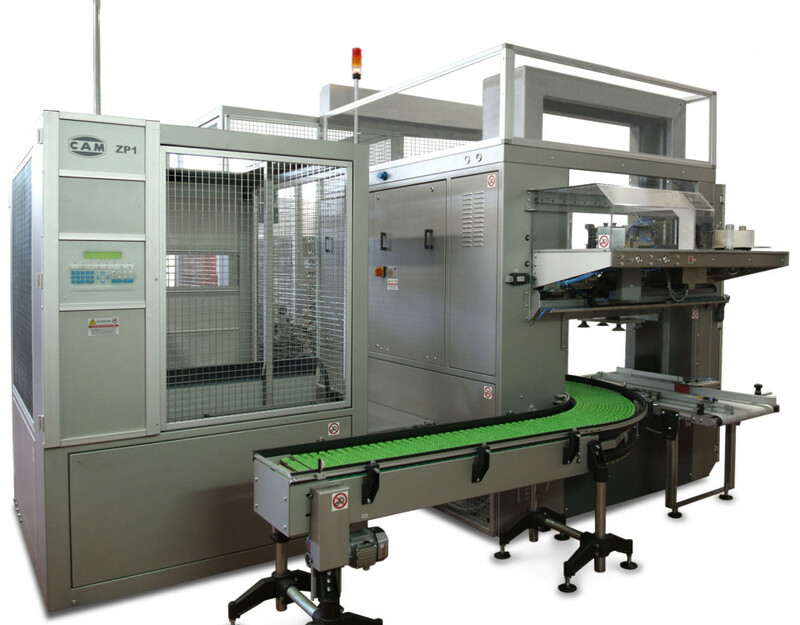 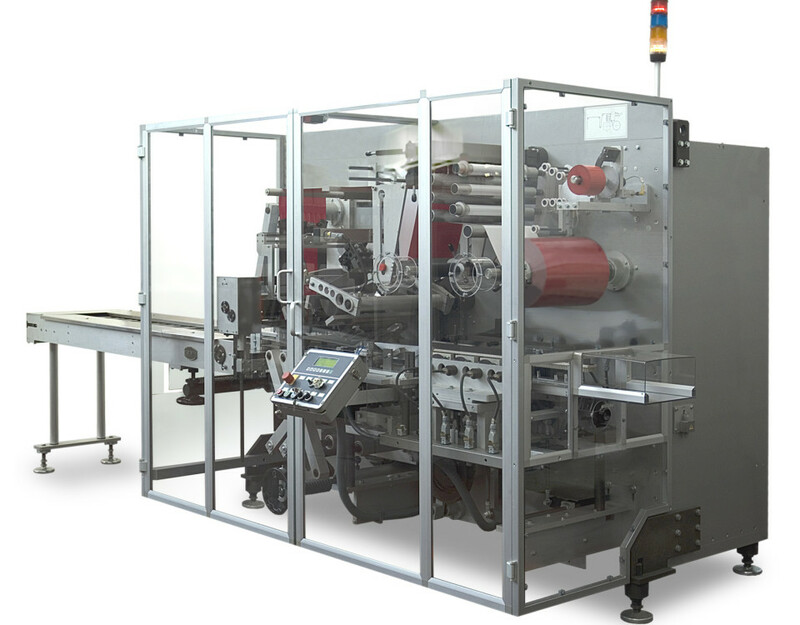 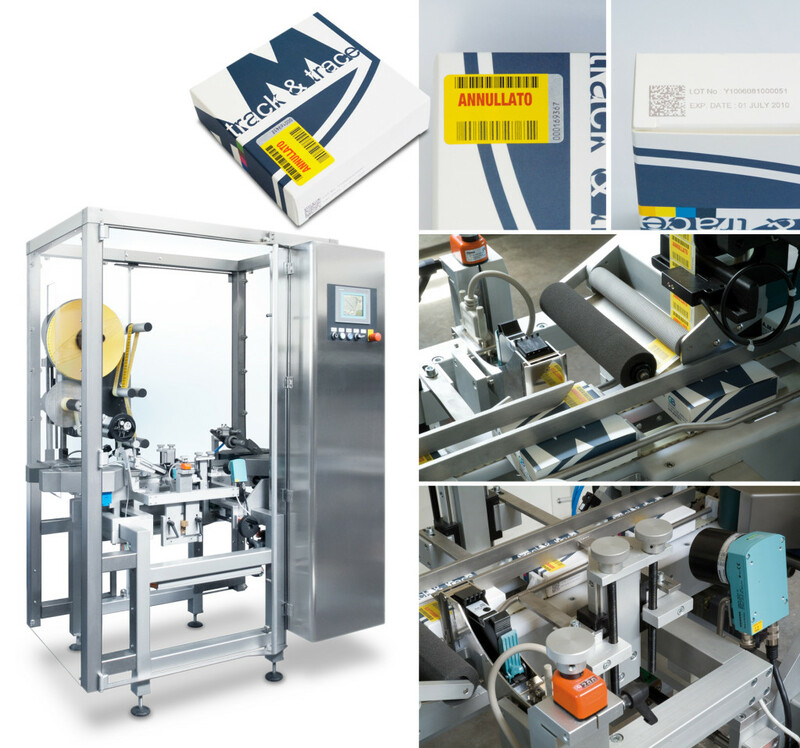 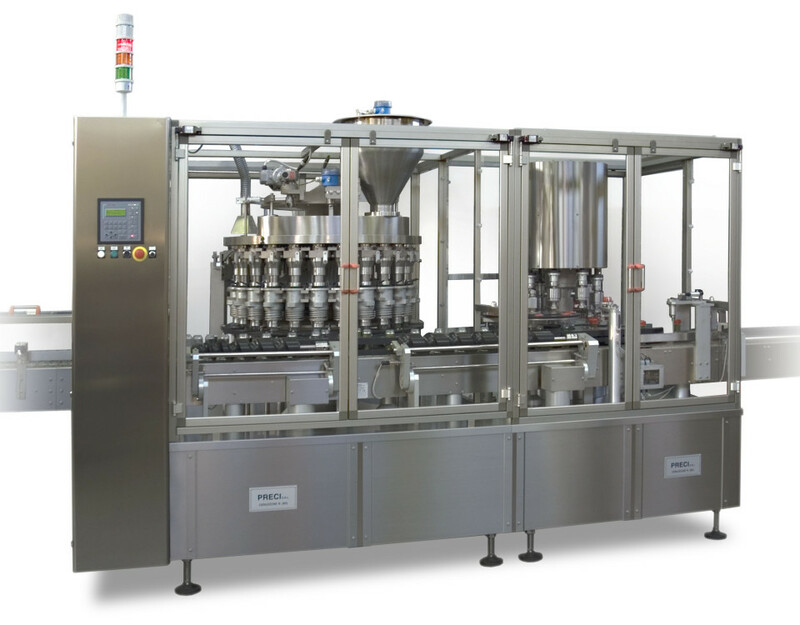 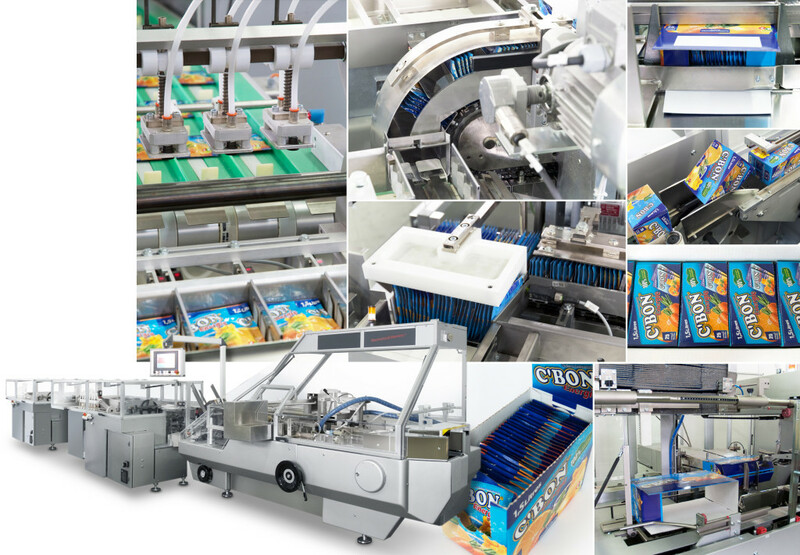 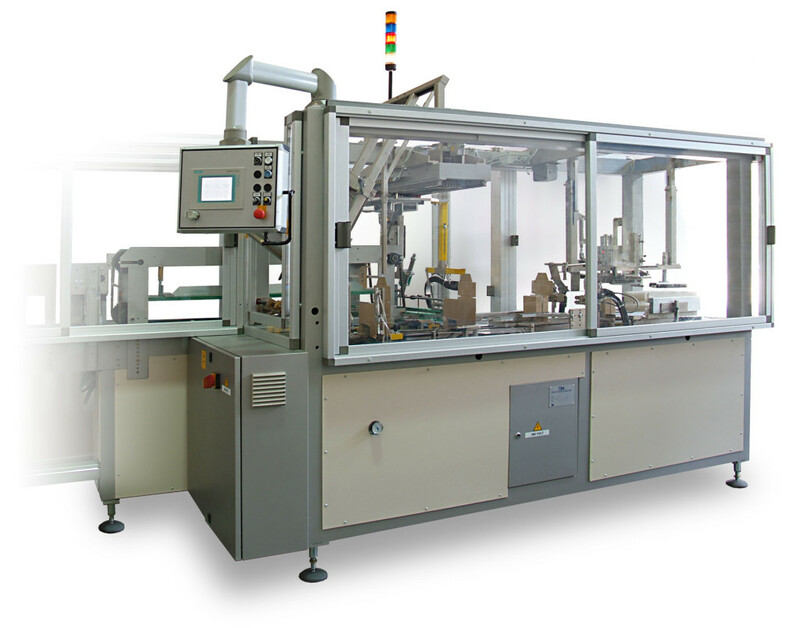 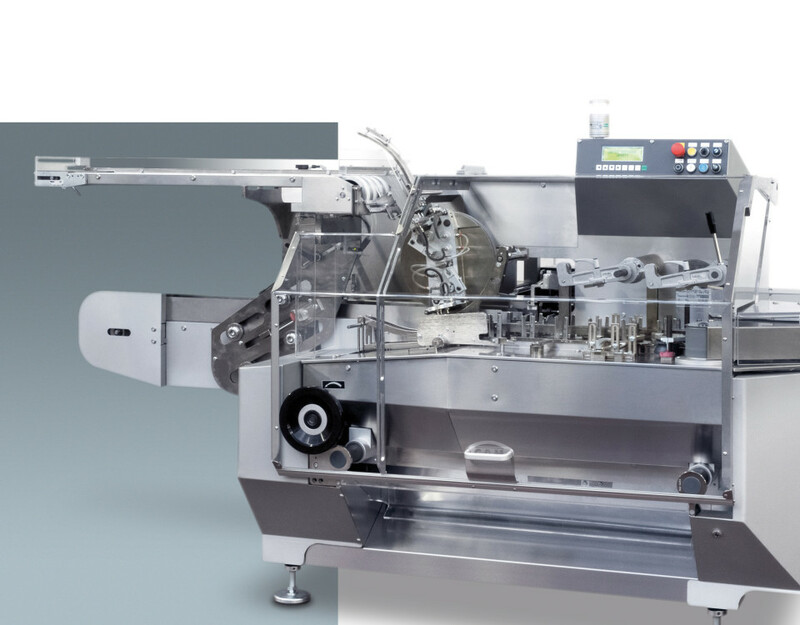 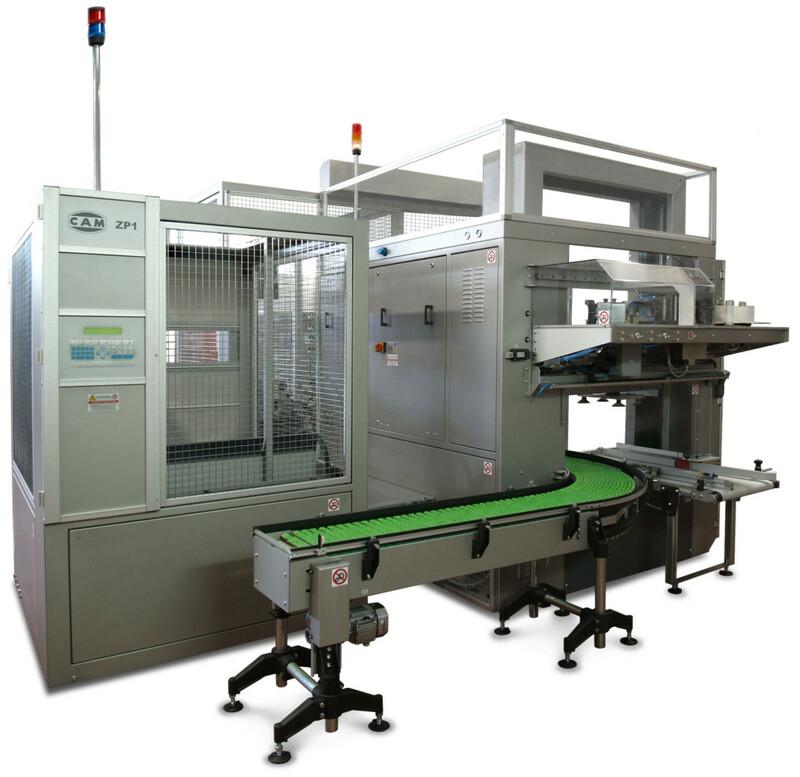 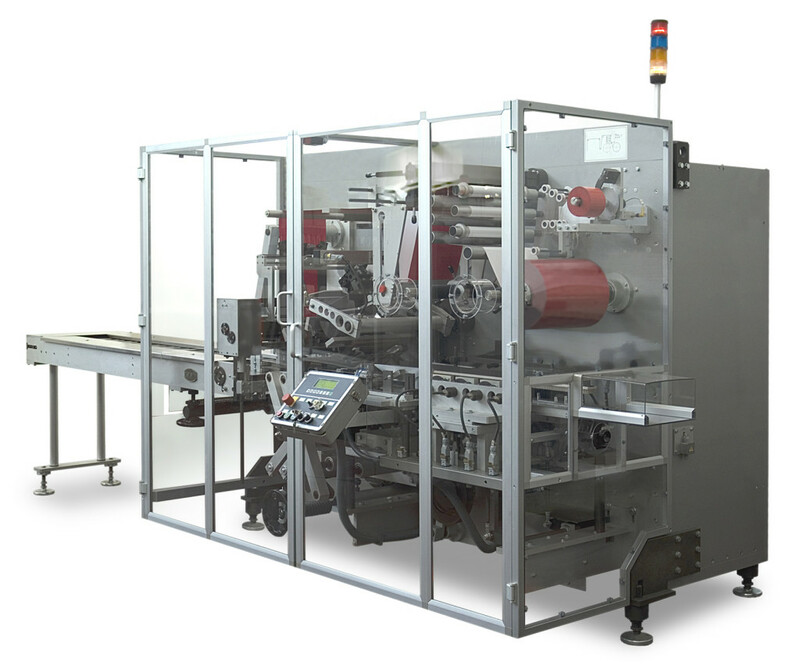 PG – Horizontal, intermittent motion cartoner, equipped with 2 sachet feeders for products on edge.